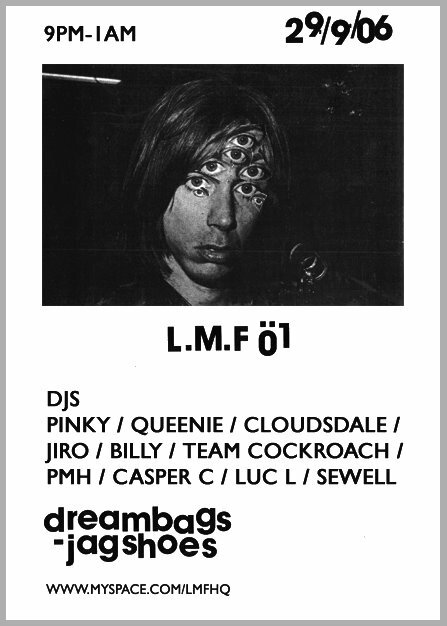 For those of you out East London way this evening (29th SEPT), make sure you get yourself over to the fine drinking establishment dreambagsjaguarshoes for the launch party for LMF01. Street Artist/Illustrator PMH has invited a selection of his freinds to join him and play some of their favourite tunes for this new monthly night. The party kicks off at 8pm and runs until about 1am and there is no admission charge. Expect a rawsome night!